The bank's original logo gets updated as part of a new, optimistic brand identity. A 3D cube logo design is at the heart of NatWest's new identity, which sees the bank return to its original brand guidelines. Designed by Futurebrand, this new identity follows a similar route as the recent Co Op redesign, which featured a revived and polished version of its iconic four leaf clover logo. 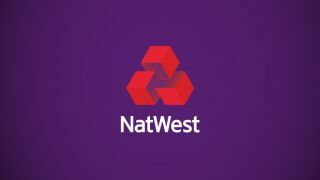 Made up of three interlocking cubes, the NatWest logo represents the coming together of the National Provincial Bank, Westminster Bank and District Bank. The cubes originally appeared in the company's 1968 brand guideline manual, and have formed the basis of the new graphic system. Creating an approachable and lively identity is no easy feat, especially when it comes to banking. However the team at Futurebrand are confident that the logo, along with vibrant illustrations and a unique 3D typeface, will create an engaging identity that will stand out both on the high street and online. Thanks to the rebrand's bright visual elements and colourful typography, the designers also hope to attract a younger audience to NatWest. At the same time, the "vibrant and optimistic" palette had to come across as trustworthy and reliable. As well as updating NatWest's identity, FutureBrand were also tasked with creating a redesign for the RBS Group. This took the form of colourful posters and promotional material that moved away from cliché tartan, choosing instead to use twill-inspired patterns. In both cases, the branding aims to reassure customers by returning to faithful designs, while at the same time giving them a thoughtful modern spin that fits into a contemporary design landscape.